2013 Review: A Year of Adam Lambert! You are here: Home / More Featured Posts / 2013 Review: A Year of Adam Lambert! I started gathering items for a review of all the marvelous things we’ve enjoyed with and from Adam Lambert, but when I discovered other great lists, figured why double all efforts? So, in case you haven’t seen these re-caps, complete with pictures and videos, here’s another chance to catch them. As Lila’s and my first year of ownership of this site comes to a close, we want to make sure you know that we love and appreciate all the comments and support we’ve received from you. You can count on us to share great adventures from Adam with you next year too. And on that note, we hope we’ll be seeing you face-to-face when we’re getting thrilled with entertainment of a lifetime in Adam’s audience! It’s no secret we love Adam Lambert and the energy and joy he brings to the otherwise sterile, manufactured world of modern pop music. 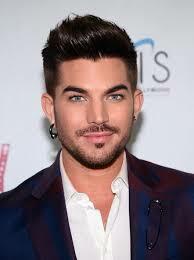 This year we started the weekly feature Hump Day With Adam Lambert, to keep up with his life and career, and the response from his fans has been overwhelming. We want to thank you taking this glitter rocket through the world of Adam with us! Because the next two Wednesdays are Christmas Day and New Year’s Day, this will be the final Hump Day of the year, but we’ll see you in January as we journey with Adam through 2014. And we’ll have new Hump Day features for you to enjoy. Right now, let’s take a chronological look back at some of the highlights of Adam’s 2013. It was a year of surprises, upheaval, and new beginnings. And we’re glad for every minute of it! Thank you SO much for all the information, living in Australia we don’t always get anything Adam related. I went to see Muse & Birds of Tokyo., then a fab. outdoor concert with Kid Rock & Bon Jovi…Just bought tickets for The Rolling Stones. Some of the overseas artists charge quite a lot for tickets & it’s not in our everyday budget so many of us miss out seeing them…Keep up the good work & hope for many more reviews in 2014. I want to thank you, Carol and Lila for all the great info and pictures of Adam. I want to wish everyone a Wonderful New Year. Get ready to see Adam at the Hard Rocks because he is playing in Belouxi, MS tonight. Wish I could have gone to see him but I have to wait till he gets closer to me(hopefully) I saw him at Hard Rock in Hollywood Fl when I lived there in 2010. I am hoping he comes to Cherokee Casino in North Carolina. He seems to like casinos…..so I am really really dreaming of him coming this way. Happy New Year to you all – I would love to see Adam put out some new music and tour again in 2014! ps. hope he eats a big hamburger on New Years Eve 🙂 – don’t go “hollywood” thin on us Adam! Busy boy. Hope to see lots of him next year too! What a wonderful year for Adam! So many new and exciting ventures. Thank you for keeping us informed throughout the year it truly makes my day each time I read a new story! Starting to have Adam live concert withdrawals so I hope he goes on tour in 2014! Fingers crossed. Happy New Year! !